January 7th, 2008: the date of the Atlantean Venus Temple-node re-activation, and thus the “turning on” of the Cruxus Venus Pillar of Light. On this momentous day, Thoth “opened the scroll” to me and I saw . . .
A double-helix of crystalline hexagons forming within the Pillar of Light. One helix was BLUE (currrent Earth ray) and the other was VIOLET (Numis’OM ray). As the two helix formed they also braided together, leaving a central CORE open between them that had electrical charges zipping on and off between the two helix within this core. This continued for awhile and then the two helixes became an INDIGO (New Earth Star ray as a whole) moving LIGHT - One Power, One Force, One Being; and began pulsing - at first with two separate rhythms, like in syncopation. The Light of the Pillar grew brighter and moved through many rainbow hues. The two beating rhythms then came together. I knew then, that one beating was the galactic center of the Milky Way and the other was the central atoma of the Earth. Now in the Cruxus Venus Pillar of Light, the two had become ONE. That ONE then, transformed into the heartbeat of Numis’OM, within the Blue Star of Orion! 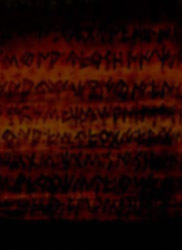 The codes of the Venusian Guardian had braided together the two earth planetary DNA (current and Numis’OM) or hagia (see also http://www.spiritmythos.org/TM/divine-fire/roilpoint2.html), creating a pathway or Stargate / wormhole through the living DNA of our current Earth and into the living DNA of the New Earth. This “new DNA” dwells within the Lotus Loci beings of Numis’OM: which is also inside our “Pure Gem” bodies, waiting to come forth from the crystalline “Dragon Pearls” of our Primal Life Song. More on the “Dragon Pearls” in the next volume of Numis’OM - Eye of Metatron ( 1 - 2008). Thoth then showed me the 8th Venus Temple node in Numis’OM, which had formed energetically from the Cruxus Venus Pillar of Light. As he has previously made me aware, for every Venus Temple node in the current earth, there is a correspondent one in the New Earth of Numis’OM. However, this 8th Temple is only in Numis’OM. It is a central point or “still point” which anchors all the other Venus Temple nodes in BOTH realities, through the Cruxus Pillar of Light. For this reason, he is calling this 8th Temple, the "Cruxus Venus Temple." 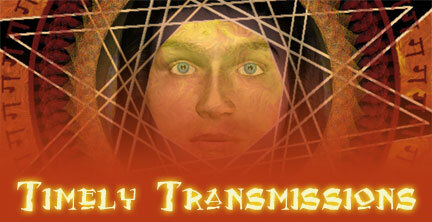 I will be writing more about it in Volume 01, 2008 of Numis’OM - Eye of Metatron, along with an energy-artwork of it. In the member’s pages of Numis’OM - Eye of Metatron, there is a new section: THE SERAPHI PLANETARY CODES (requires subscriber login, you can subscribe here). This is an on-going work where I will post new planetary numeric Pymander Seraphi codes for you and your grid groups to work with. Note: in order to access the Seraphi Planetary Codes you must be a subscriber to Numis’OM - Eye of Metatron.